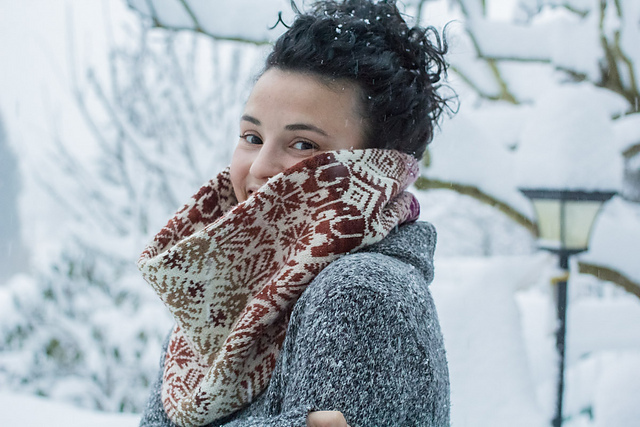 One of the key features of the Indie Design GAL* is the knit and crochet along, which is broken up into 8 categories (head, hands, feet, baby, garments, shawls, neck and other). Over the course of this week, I have been sharing my favourite patterns in each of the categories. 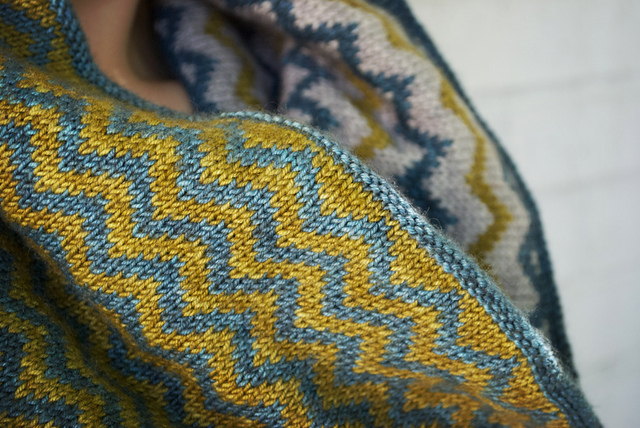 So far I've covered hat patterns, knits for hands, socks, knits for babies and shawls. 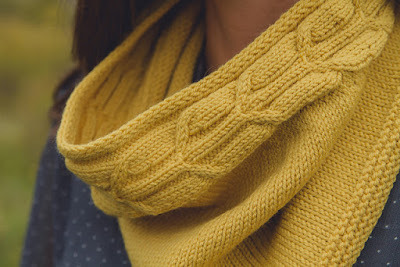 Today, as the sale portion of the GAL is coming to an end, I'm going to have a bumper crop of recommendations: the first was about garments, and this one, the second, will be about knits for your neck. When I was browsing the GAL patterns, I wasn't conscious that I was looking for anything in particular, but my favourites list did seem to feature an awful lot of cowls! I'm really hoping that I have time to knit one during the GAL, but for now, here are my highlights. This is just stunning! I love the idea of knitting knitting. 2. 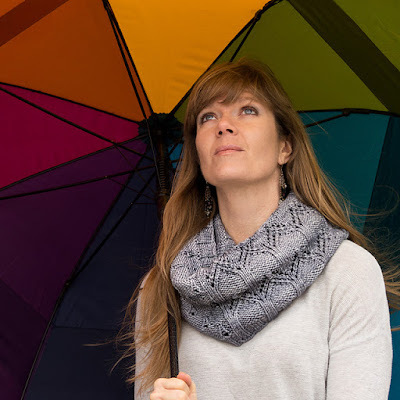 Celidh infinity scarf by Kelly G.
A beautiful design, perfectly executed. The styling of this cowl is perfect with the bright rainbow umbrella contrasting against the grey of the yarn. I love everything about this: the motifs, the colours. 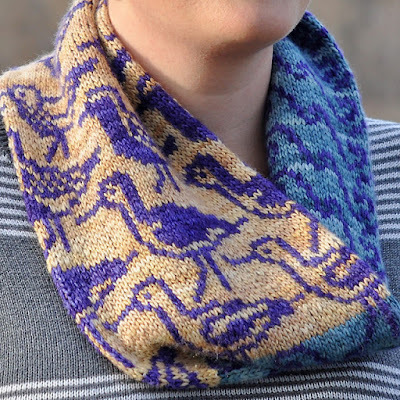 Definitely one I want to knit. 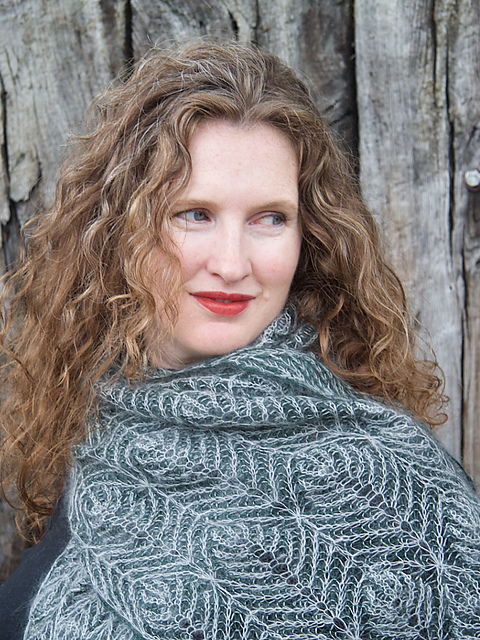 One for the brave: brioche in lace weight mohair. 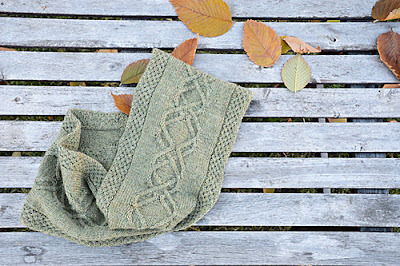 This was Robynn's first ever brioche project and includes a step-by-step guide for beginners. 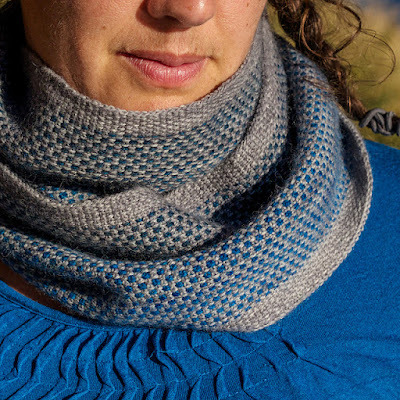 This cowl is so much fun. It would be a great use of a yarn advent calendar too. 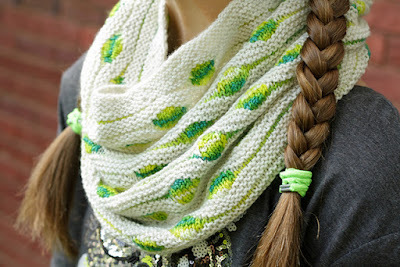 This design is perfect for toning down a bright variegated yarn. 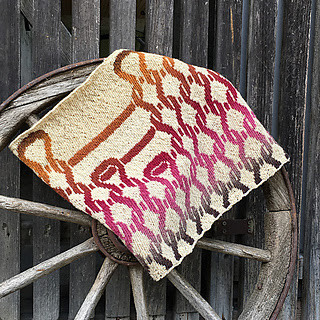 Everything Meredith Shepherd designs is beautiful, and this is no exception. All the patterns featured in the post are included in the Indie GAL sale: use the code giftalong2017 to get 25% off. Code expires 11.59pm EST Tuesday 28th November 2017. ** That's tonight! 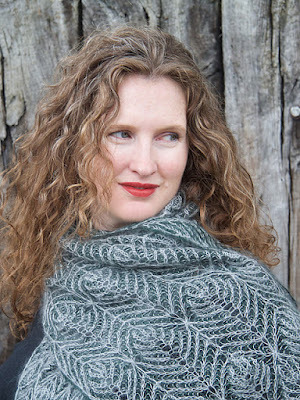 If you've missed the sale portion, have no fear, the knit and crochet-along portion of the KAL is continuing until the end of the year,* so you have plenty of time to join in (and remember that you can use any paid-for pattern by a participating designer - you could always have a look in your Ravelry library to see if you already own any patterns by a participating designer). 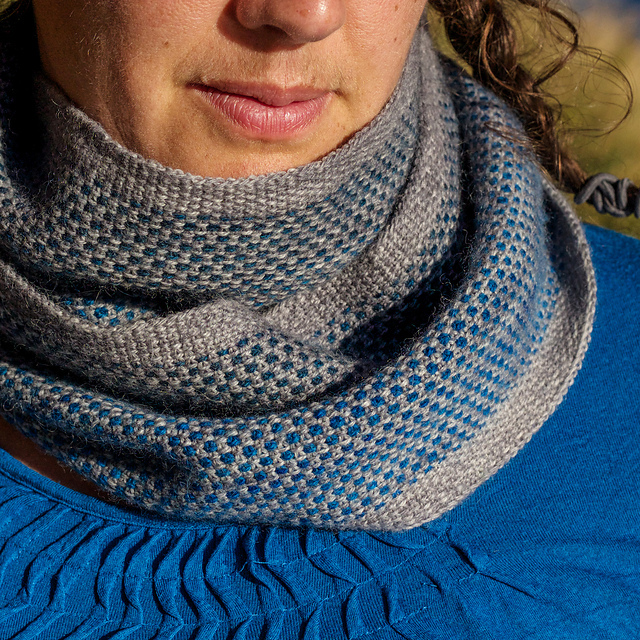 I've put together a bundle of my favourite GAL sale patterns. If you'd like to take a look, you can find it here. Are you joining in the GAL? What are you planning on knitting? *Ravelry link. 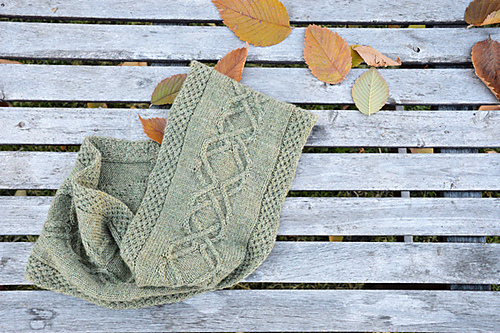 You need to be logged into Ravelry for the link to work. **I'm also taking part in the GAL as a designer. Why not take a look at my designs too?